LPNs (Licensed Practical Nurse) & Licensed Vocational Nurse (LVN) positions are one of the many ways that interested individuals can enter the nursing professional. LPN (Licensed Practical Nurse) positions—also known as LVN (Licensed Vocational Nurse) positions in certain states — offer distinct opportunities to prospective nursing professionals. LPN and LVN positions provide entry-level opportunities for nursing professionals to learn all aspects of the nursing profession. With a massive number of opportunities available, positions as LPNs and LVNs are a great choice for a nursing career. The medical profession is filled with available opportunities to help others. Those who enter the nursing professional have many choices that allow them to provide this care. Nursing is one of the fastest growing careers in the medical field. By the year 2018, a 22% increase is expected to create over 581,000 new nursing jobs. This article will include a comprehensive overview of lpn nursing. If you would like more information, make sure to browse our LPN nursing section. During the early 1800s, Florence Nightingale demanded a change in the nursing profession. As a result of the Crimean War, Nightingale lobbied for better working conditions, treatment, and medical supplies. Her actions led to the drastic changes that are apparent in today’s hospital infrastructure. Nightingale was credited as the originator of modern day nursing. Nurses required proper education to work in the field on nursing. Hospitals began to offer classes to prepare for the growing staffing needs. In the 1900s, nursing students were taught cleaning and sanitation aspects of nursing, and later sanitation methods for surgical tools. The medical communities began to support the nursing profession—especially since nursing professionals were responsible for patient care during World War II. Nursing education was divided into two distinctions after World War II. Students could choose between working as an LPN or a registered nurse (RN). The educational requirements for both of these nursing professionals were the same, but registered nurses required an additional two years of schooling after earning their LPN credentials. Registered nurses provided staff supervision while LPNs cared for the patients. Colleges and universities began to see the growth in the nursing profession so they began to offer nursing programs to satisfy this need. The role of the LPN has not changed much since the beginning. They have the responsibility of working directly with patients by monitoring vitals, dispensing medications, wound care, bathing patients, recording vitals, writing patient reports, and checking the status of patients. Depending of the practicing state and need of the medical facility, LPNs provide the same services as registered nurses do. Currently, LPNs represent the largest number of health care providers. They must hold a minimum of an associate’s degree in nursing and pass the licensing examination for the practicing state. LPNs can continue their education in nursing to become registered nurses if they desire. What is an LPN & LVN (Licensed Practical Nurse & Licensed Vocational Nurse)? LPNs and LVNs provide medical care for sick and disabled patients. They provide these services under the supervision of registered nurses and physicians. The level of supervision and direction varies greatly by setting and the practicing state. LPNs and LVNs provide care for their patients that includes, measuring and recording vital sights such as pulse, blood pressure, weight, temperature, and height. Additional responsibilities that they have include administering injections, assisting with dressing and bathing, and monitoring catheters. They are also responsible for making the patient as comfortable as possible while in their care. 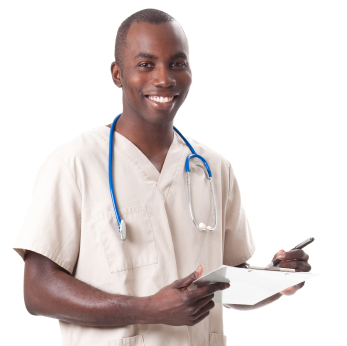 With some experience, LPNs and LVNs may supervise other medical professionals such as nurse’s aides and assistants. These nursing professionals also have the responsibility of maintaining a clean work environment and handling samples and specimens. LPNs and LVNs must monitor and clean medical equipment. They also help registered nurses and doctors perform a wide variety of procedures and tests, including laboratory tests and sample collections. These nursing professionals also gather patient information to assist doctors and registered nurses to create a care plan for each of their patients. 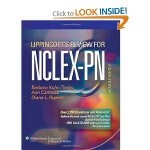 LPNs and LVNs report reactions to treatments and medications to help determine a course of care for the patient. These individuals can work in any healthcare setting due to their general skill set. Some states allow LPNs and LVNs to administer intravenous fluids prescribed medications to patients. To become an LPN (Licensed Practical Nurse), it is necessary to receive some educational training from an institution of higher learning. Prospective LPNs have many educational institutions in which to choose from to earn their degrees. It is very important that nursing students select a college or university that is accredited by a reputable education institution. Degrees from non-accredited colleges and universities have no value in many nursing positions since accreditation proves that the schools provide a quality education that is in accordance with the nursing requirements. Nursing students should make sure that they check with the Board of Nursing for the state in which they plan to practice nursing. Each state has specific requirements to earn a degree and receive a nursing license so it is important to verify this information before selecting a school in which to attend. If the school is not approved by the Board of Nursing for a select state, nursing students should look at other schools to earn their degrees or diplomas. Most LPN programs require a high school diploma or a GED to qualify to enter an LPN program, but some programs do not require this prerequisite. To become an LPN, nurses must receive a minimum of a diploma or associate’s degree in nursing to qualify for LPN positions. They can receive a diploma from an accredited hospital, vocational school, or community college in less than 2 years. Some high schools offer an associate’s degree in nursing. Students take nursing courses along with their minimum high school education courses so they graduate with a high school diploma and an associate’s degree in nursing. Nursing students can also earn an associate’s degree from an accredited college or university in two years or less. Nursing students can expect a combination of nursing courses and supervised clinical experiences while earning their associate’s degree. The courses may include anatomy, pediatrics, first aid, pharmacology, physiology, obstetric nursing, and medical-surgical nursing. These courses cover basic nursing concepts required to work in the nursing profession. After completing the diploma or associate degree program, it is necessary to complete the LPN licensing examination for the state in which nurses plan to practice. Again, it is necessary to make sure that certain requirements are met before a license can be issued. 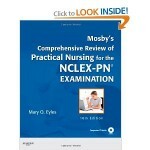 What is the NCLEX-PN Exam? 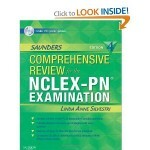 The National Council Licensure Examination-Practical Nurse (NCLEX-PN) exam is a nursing examination. It is required by each state that individuals pass the examination to receive the licensure to become an LPN or LVN. The National Council of State Boards of Nursing is responsible for developing and administering the exam. The computer-based examination covers topics that include patient’s needs such as psychiatric care, coordinated care, physiological adaptation, safety and infection control, reduction of risk potential, health maintenance and promotion, pharmacological therapies, psychosocial integrity, basic comfort and care, and physiological integrity. The examination is mostly multiple choice questions, but testers can also expect to see broader questions that are not multiple choice questions. Examples of additional exam questions include calculating medication dosages, identifying and selecting body parts from a diagram of the body, and ordering specific nursing procedures. Fill in the blank questions can also be expected on the NCLEX-PN examination. LPNs provide their nursing care to patients in a variety of settings. Since they have are generalists, they are in high demand in any healthcare setting. Licensed Practical Nurses can work in hospitals; outpatient care services; physicians’ offices; home health care services; rehabilitation facilities; employment services; nursing care facilities; local, State, and Federal government agencies; and other providers. It is important that LPNs and LVNs identify the work settings that employ the largest number of nursing professionals. The particular settings may vary from year to year so it is important to identify the top settings when looking for employment opportunities. The settings that hire the largest number of LPNs and LVNs may provide the greatest chances for employment for prospective LPNs and LVNs. Over 753,000 nursing positions were held by LPNs and LVNs in the year 2008. Of those positions, 25 percent were in hospitals, 12 percent were in physicians’ offices, and 28 percent were in nursing care facilities. LPNs and LVNs can make lucrative salaries that can increase greatly with experience. Since many nursing professionals use these credentials as a stepping stone to earn the registered nurse credentials, this area of nursing provides a wonderful stepping stone for future nursing opportunities. According to the Bureau of Labor Statistics (BLS), the median annual salaries for licensed vocational and licensed practical nurses were $39,030 in 2010. The wages for the lowest 10% were less than $28,260 annually while the highest 10% of LPNs and LVNs made wages over $53,580 annually. The salaries for LPNs and LVNs vary greatly by the number of years of experience these nursing professionals have. The more experience nursing professionals have, the higher the salaries they can expect. Some states pay LPNs and LVNs hourly rates based on their years of experience. The median hourly rates for these nursing professionals are $15.95 for 1 year of experience, $17.25 for 1 to 4 years of experience, $19.76 for 5 to 9 years of experience, and $19.85 for 10 years or more of experience. The industries that employ the largest number of Licensed Practical Nurses and Licensed Vocational Nurses and offer the highest wages include nursing care facilities – $43,590; hospitals -$40,250; physician’s office, $37,480; home health care services – $42,550; and elderly care facilities – $42,270. The annual salaries for LPNs and LVNs vary greatly by state. It is important that nursing professionals know the salaries by state so that they can determine the location that they want to work after graduating. The states that currently offer the highest annual wages are Massachusetts – $48,180; Connecticut – $46,890; District of Columbia – $45,450; Delaware – $41,460; New Jersey – $41,240; and Maryland – $40,600. Those who want to become LPNs and LVNs are choosing a wonderful career to enter. These positions are expected to grow faster than the average of all other professions. 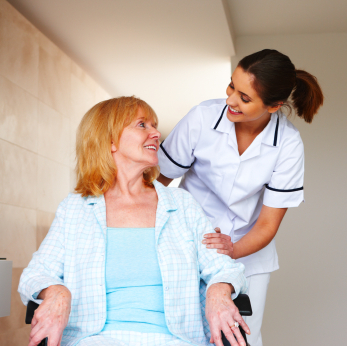 The greatest numbers of opportunity are in home healthcare services and nursing care facilities. Experience and credentials play a huge factor in the number of opportunities these nursing professionals have. By the year 2018, the employment opportunities for LPNs and LVNs are expected to increase to 22%, creating thousands of jobs for qualified nursing professionals. Much of the increase expected in this nursing profession comes from a greater demand for healthcare services and an increase in the elderly population. Elderly patients are more prone to illnesses and injuries so the demand for LPNs and LVNs will increase to reflect this demand. Advancements in technology will also play a role in the increase in demand. For those who are living longer, long-term healthcare is important to their daily lives. Job growth in settings that service geriatrics—such as community care facilities, nursing care facilities, and home healthcare services—will experience the significant increase. LPNs and LVNs will also experience an increase in positions due to additional medical services offered in outpatient care centers and doctors’ offices. To control healthcare costs, procedures once offered only in hospitals are now offered in outpatient center and physicians’ offices. In addition to the significant job growth expected, additional positions will open as a result of permanent replacement needs in the healthcare industry. Additionally, the greatest number of positions is available in rural areas due to inadequate healthcare availability. The greatest number of opportunities is in hospitals although numerous other opportunities are available in other settings. Now is a great time to become an LPN and LVN. Countless opportunities are available for those who want to a career that allows them to help others live longer, healthier lives. Nursing professionals have come a long way since the career began. Positions in the healthcare industry are among the most lucrative and there are countless opportunities for advancement. LPNs and LVNs can thrive in any setting due to their general skill set.